This is going to be my personal Top Ten list of Horror films. Now there will be a particular rule here, being that I will only pick one film from a series. 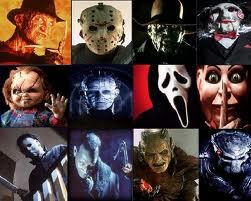 And remember this isn’t a list of what I feel are the ‘best’ horror films, just a list of my personal favorites. So let’s get started. Now this might be a surprising entry for some, but to be honest, I really enjoyed this movie. I plan on doing a review for it so I wont go on for too long about it. But this was good. It felt like what a remake should be like, different, but not a complete 180* to the source material. And with the lovely balance of practical effects and Benicio Del Toro, there was no way I could not love this movie. I love the Friday the 13th series, but I wanted to limit my choices so one entry per series. So originally, I was going to pick Part 8, Jason Takes Manhattan for its sheer entertainment value and campyness. But I’m gonna have enough of that on this list. So I went with Part 6 instead. It’s a quintessential Friday movie, being basically the same as the others. But to me it’s just so entertaining. I can’t place it, but it’s got to be one of my favorite slashers. Sleepy Hollow is about as close to Horror that Tim Burton’s really gotten, which is surprising given his style being very influenced by The Cabinet of Dr. Caligari (1920). This movie is a mood setter for me, it gets me ready for Halloween. I really enjoy it and it’s goofy and dark sense of humor. And the cast is great, it;s not just the Johnny Depp show and that’s cool. Michael Gough, Michael Gambon and Jeffery Jones are great. I will say that Christina Ricci is actually kind of dull, and Christopher Walken is too funny to take seriously. But that shouldn’t take away from the movie. It’s still fun. Plain and simple, this very well might be the best zombie film ever, and if you’ve never seen it, you’re committing a sin upon yourself. Peter Jackson did a great job directing this film, there’s some great slapstick comedy, awesome and cheesy practical effects, and perhaps more gore than you’ll find in another zombie film. It’s a real good time and absolutely worth your time. 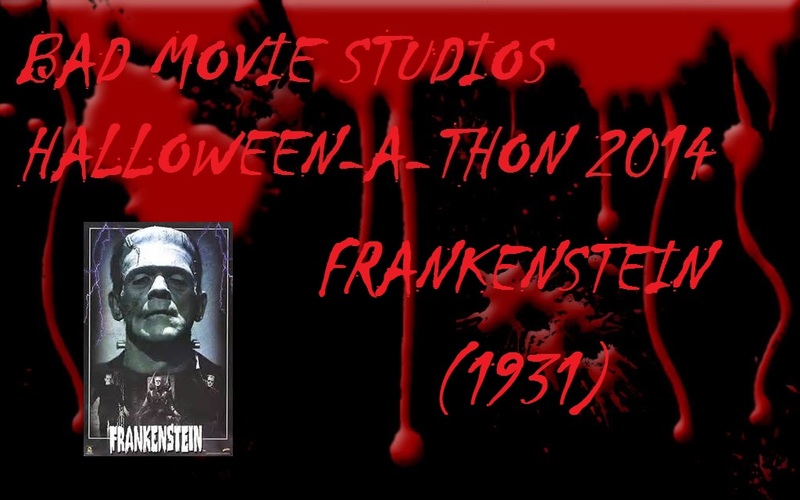 This is without a doubt my favorite Universal Monster Movie. It’s not really scary per say, but you’ll find that with a lot of films on this list. Yet Claude Rains performance as the Invisible Man is great, you really get a feel for his madness and his obsession with his own power. Some of the speeches that he gives are cool and the comedy running through the movie is awesome. Give this one a watch. I knew I was going to put one of the Evil Dead films on here, but I was having trouble trying to pick which one it was going to be. The original is actually more of a horror film, but then there’s Army of Darkness (1992) which is a hell of a horror comedy. And then again there’s the great remake from this year (2013). They;re all good, but I guess Evil Dead 2 is the choice I have to make. It’s the balance between the Horror of part one and the total goofball comedy of part 3. It’s a cult classic that everyone should see at least once and although it’s not as gory as say Dead Alive (there’s really no film that is, save for maybe Robo Geisha) but it’s like a bloody Three Stooges Short. Nothing wrong with that. The original Nightmare on Elm Street is easily the standout slasher film of the 1980’s. Robert Englund is great as Freddy Kruger, and the movie takes a spin on the genre with the killer being supernatural from the beginning and also changing the dynamic as so the killer comes to the victims. The effects are great and although it has a sense of humor about it, it’s a LOT more subtle than it would be later on in the series. Also it’s before Freddy became all about one liners. So for me, it’s a great addition to anyone’s film collection and an positively a must see for horror fans. As I’ve stated on more than one occasion, I’ve already reviewed this movie so there’s not much more I can say about it. This film is iconic. It set the definitions of the slasher genre and in a lot of ways did it better than it would ever be done again. It doesn’t have a lot of gore, had a pretty simple formula and at times can be a little slow. 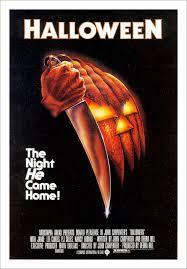 But this movie has an atmosphere and pacing that is unmatched by any other slasher in my opinion. Silence of the Lambs gave us possibly the greatest villain ever. Hannibal Lecter. Anthony Hopkins gives such a great performance in this film, and really hits home the fact that he is not only smarter than you, but that you have no idea what this guy’s actually gonna do. 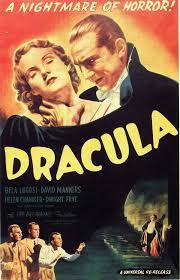 In a lot of ways he’s like Bela Lugosi’s Dracula, subtle and rather seductive, but always making you uneasy. And the weirdest thing about this film, is that he isn’t even the antagonist. That goes to the character “Buffalo Bill”, a wanna be transgender individual that kills women in horrible ways. You follow Jodie Foster as Clarice Starling, and F.B.I. Trainee that becomes a mental buffet for Lecter while she tries to stop “Buffalo Bill”. This movie explores less the evil that comes from a supernatural killer or a monster, but instead the evil that comes from humanity itself. As movies go, it’s probably the best one on the list, but that doesn’t make it my Number 1. No that goes to another, literally BIGGER film. This might be another kind of questionable entry to a Top Ten Horror list. For one thing, it’s really classified as a Sci-fi film, and two it’s not really scary in any traditional sense. Well, let me remind you of 2 dates. August 6th and August 9th 1945. Mean anything to you? Well those were the dates that the United States dropped the Atomic Bombs on Hiroshima and Nagasaki. Over a quarter million people died because of that. It is the fear from that event that fueled this movie. The fear of what Nuclear Warfare would do to the world. Godzilla is an allegory in that regard. He stands for the repercussions we will reap as our sin towards nature. He IS the earth’s vengeance incarnate. That’s why this movie is resounds so much for me. It actually has a message that a lot of films don’t. Real emotion was put into it and it shows. It’s not goofy like the rest of the films in the 60’s and 70’s of the Godzilla franchise. No, it’s dark and somber, a chilling reminder of the horror that man has done to themselves. Much in the same way Silence of the Lambs is scary because it’s the evil’s of humanity that we are shown to be fearful of, this movie takes it a step further. It’s not just about human’s reaching out and hurting each other, it’s literally the planet that we inhabit fighting back against us for our cruelty. And that to me is profound. So there you go, my personal Top Ten Horror films. Maybe one day I’ll get to my Top Ten Worst Horror films some time down the road. Now I did this just for fun, but I’d like to hear what other people think. If you’ve read this, tell me your Top Ten. Thanks for reading.